This was first featured on Space Wolves Blog in 2015 and written by “Wolves for the Wolf King”. Unfortunately that blog has been lost to the warp and may never return so in an effort to retain the information we have republished it here. 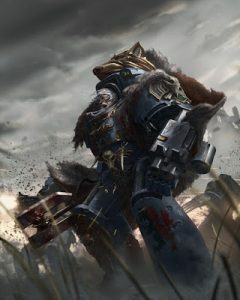 “Wolves for the Wolf King” here to talk about taking a step away from packing lists out with Thunderwolves using some of the more overlooked Space Wolves units in a MSU (Many Small Units) list. 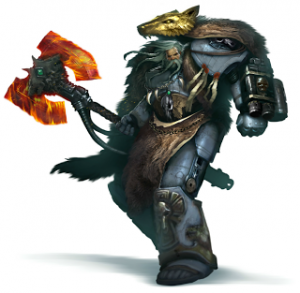 Wolf Guard Terminators: WS5 in a Company of the Great Wolf Detachment and special because they can be taken in units of 3, have access to combi-weapons, free storm shields and permit you a Lone Wolf in a free slot! They’re more resilient than they look! The beauty of relentless also means that you can still fire rapid fire weapons and assault. Lone Wolves: Ok so they concede kill points now and they no longer score…. however these guys are absolute beat sticks. Small enough to hide and buy you some time for any deep strikers to arrive T2. Great for tying up MC’s and putting the hurt on any mid to light armour. Arjac Rockfist: Another absolute beatstick. Similar in many ways to a Lone Wolf and another free slot opened up by taking Wolf Guard Terminators. Long Fangs: They come in units of two and have split fire. The long fang Ancient has access to a number of special weapons and you can upgrade one model to a Wolf Guard Terminator pack leader. The beauty of this is you have a two man unit made up of 2 characters able to look out sir on to each other on a 4+. Drop Pods: nearly every model in this army has its own capability to deepstrike aside from the Long Fang Ancient. These can be taken as either Dedicated Transports or in their own Fast Attack Slots however in my view they should have the Long Fangs embarked. Take the Locator Beacon to enable precision Deepstrikes and the Deathwind missile Launchers to bring some S5 large blasts to the board. 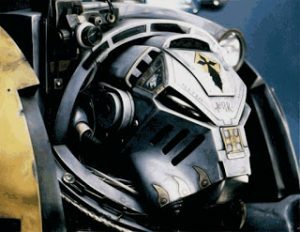 Ordo Malleus Inquisitors: Ok, so not Space Wolf, however a Codex: Inquisition Inquisitorial Detachment permits two HQ’s (only one of which is Mandatory). Stick him in a suit of Terminator Armour with a Psycannon and load out with Servo Skulls. These guys are a great utility for adding more S7 shooting whilst increasing the accuracy of your deepstrikes. Wolf Lord: Because he’s got a built in 4++ and they’re the Champs of Fenris!!! Servo Skulls: These Deploy after deployment areas have been determined but before either player deploys. You have 6 at your disposal – get a nice spread bearing in mind you will also have two drop pods arriving in your first turn with locator beacons and also that your opponent can remove them fro play by moving within 6”. First point is to put all the Wolf Guard Terminator units into reserve. Join the Wolf Lord and Two Inquisitors to a Squad of Combi-Plasma WGT each. The Wolf Lord aids one squad in becoming a combat threat once its Plasmas have fired off and the Inquisitors add more S7 Ap4 Rending Psycannon shots to the 6 S7 ap2 Combi-Plasmas – it makes sense to me to keep the S7 with the S7. Join Arjac to one of the Combi-Melta Squads. Needless to say the 6” range of his Foehammer adds more punch to the 6” Melta range. The Long Fangs (due to having one model in Power Armour) put in the Drop pods. Deploy your 6 Lone wolves as close to your deployment line as you can. They’re going to be footslogging their way across the board. Try not to leave too much of a gap between them as they support each other well and play the line of sight game – If they cannot see them they cant shoot them! The main trick with this list is weathering the first turn. Obviously you have two drop pods with two two-man squads of Long Fangs arriving. Aim to land these quite central keeping in mind the range of both the Deathwind and Plasma rapid fire is 12”. Be sure to keep the Terminator at the front to tank a few shots. Try and put the Long Fang Ancient in cover to help him to avoid any AP3 shots. Meanwhile, the Lone Wolves have 1 job – run forward. Single man units, being small targets they play the line of sight game well and can easily be hidden behind terrain. Turn 2- Roll for your reserves. As long as the Fenrisian dice gods are with you your units should arrive and bringeth the pain! Provided you’ve still got some pods and Servo skulls on the board you should manage some pretty accurate deep strikes. Needless to say, play the weapons off their strengths when they arrive and the almost army wide 2+/3++ will drive your opponent crazy. I’ve had a lot of success running this list. 8 Wins to 1 Draw. Granted it is slower and requires more tactical thinking that the Thunderwolf Cavalry Lists that are floating around the internet but makes for a great fun, themed list that can be annoying as hell for your opponent to shift. Remember your Challenges for preferred enemy and play smart! Does anyone else run a Full Wolf Guard Terminator list/ Logan Wing? Please share your experiences.